A new feature of this page is the ability to read a short biography of each person listed. The biographies currently available are shown by the links below. Each document is in Portable Document Format (PDF) and can be viewed and printed. PLEASE NOTE: The copyright for all material on this site is held by the Victorian Womens' Liberation and Lesbian Feminist Archives Inc. If you wish to use any of this material, explicit permission must be obtained beforehand (refer to the contact details above). 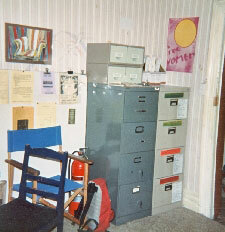 To access these files you will need a PDF reader. Macintosh users - you will already have "Preview" installed. Windows users - if you do not have a PDF reader, you can download the installer (1.43MB) for a free, light and fast PDF reader from here. To get a description of the material in each collection please click the link to access the UMA website (please note that not all of the collections have been listed as yet). The VWLLFA listing is in the second section of the page; this link lists the archives collection to date. Please note all details regarding direct access to materials from UMA is done via the reference archivists in the Cultural Collections Reading Room, Level 3 Baillieu Library. This info is available from the Archives web site – opening hours etc. (including a map to locate the Baillieu Library itself). From the Archives web page click on “Collections Database”. 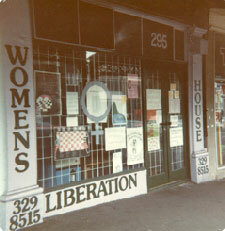 On the bottom of the page type into the text box titled Search the Entire Database – “Victorian Womens Liberation” and a listing of the collection records will appear. Note that you need to include the quotes to get the correct listing. Further information can be found by clicking on the Details tag in each listed collection. 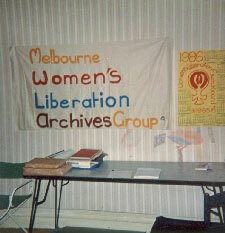 feminist activist collectives, many of them now defunct. NOTE: Each link below refers to a separate PDF file, which can be viewed and/or downloaded. 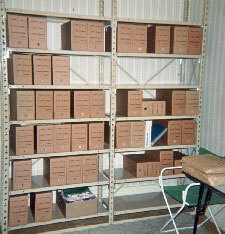 Files are sorted alphabetically by First Name.